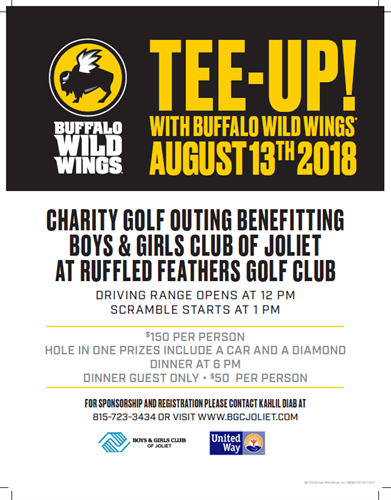 Join us on Monday, August 13th at Ruffled Deather golf Club in Lemont for a charity golf outing sponsored by Buffalo Wild Wings in support of the at risk youth at the G.W. Buck Boys & Girls Club of Joliet. 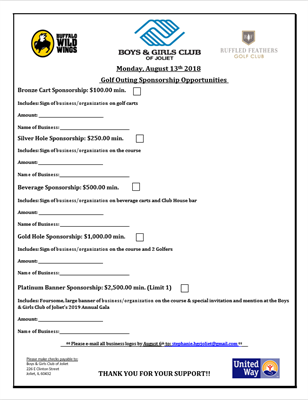 Beer and lunch will be provided on the course as well as a buffet dinner.